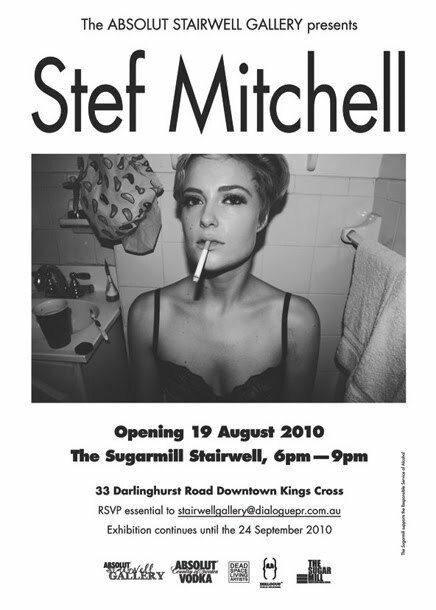 After spending three years in rural Australia studying the written word, Stef Mitchell decided to throw it all away and move to New York with about $5 US and her Canon. Since then, she has spent six months interning for the iconic Annie Leiobovitz, stumbling her way through coffee orders to finally scoring a role assisting on the set of one of Leibovitz’s infamous Vogue shoots featuring Lady Gaga and Lily Cole. With future plans to help bed young models along side Terry Richardson when she starts as an intern with him on her return to NYC, Stef is a bright young thing who is five seconds away from humongous things. With her viewfinder soon to make a permanent move back to the city that never sleeps, this may be your last chance to catch a glimpse of works that will one day make for an expensive and heavy coffee table book.